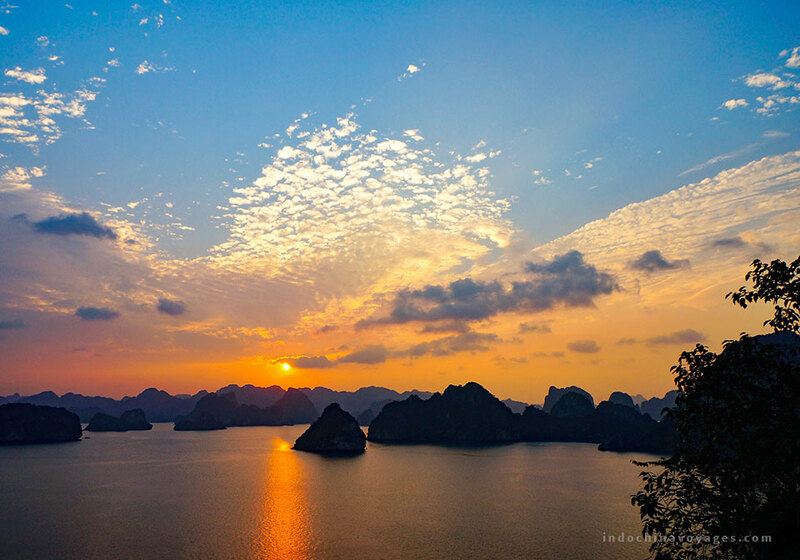 Mentioning Halong, maybe the first thing comes to your mind will be the charming beauty of stone islands. But you don’t know that its attraction is created by 3 elements such as stone, water, and sky. The sea water is emerald green and calm. This is the perfect place for travelers to be able to explore the wild beauty through swimming. Just simple flow your body into cool water, you will get away all of the anxiety in the daily life and enjoy the total freedom. Green water, golden sunrise, and smooth-white sand combine together are willing to bring to you a very nice and refreshing feeling. Don’t forget to follow some swimming safe guides in order to have a nice trip! If you’re a big fan of adventure activities, Halong junk seems to be the best choice to get closer and to feel all the natural beauty. 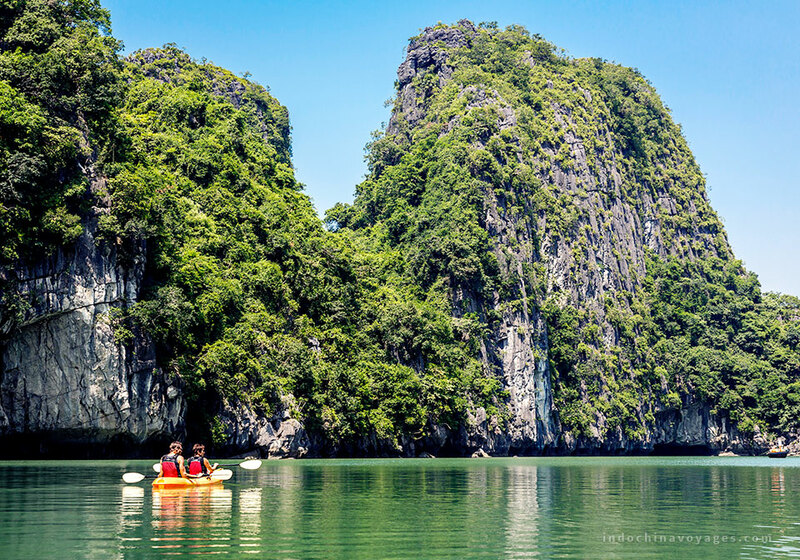 Being voted among 25 top destinations for kayaking in the world, Halong will not leave you disappointed. Travelers can hire a rowboat before venturing out to explore those hidden gems like Thien Cung cave, Heavenly Palace cave which is famous for its stalagmites and stalactites. Kayaking is definitely easy to take part in for every traveler. If in other places, you can take a quick surf or on the water, but in Halong, it is definitely different. Everyone just wants to paddle slowly, watching blue sky and mountains and immerse into unique turquoise water. That would be the highlight of your trip here. Halong acquires a reputation for its thousands of islands, blue sky, and numerous caves. It would be amazing to admire the natural beauty of luxury cruises. However, your trip will be more worthy if you have a chance to enjoy the sunset time in the bay. In the late afternoon, the sky turns red when the sun goes to sleep and the colored flights from many cruises make Halong more beautiful. Nothing is better than choosing yourself a sun lounger, trying a tropical smoothie and admiring this magical time. Closing your eyes and immersing yourself totally in cool wind is definitely one of the should-not-be-missed things in Halong. If you are wondering anything else to do on Halong Bay tour, you must take the opportunity to visit the floating fishing village. Someone used to say that floating village in Halong seems to be something out of period travel book – a way of life that you don’t expect still exists. This gives you a wonderful perspective and new look to discover the fishermen’s life. Travelers can make their own way around the islands and the village by kayaking or pay a floating village tour with a local guide. Setting your feet here, you will immediately fall in love with the peaceful vibe. It is extremely interesting to see locals living in small boats and fishing everyday. Besides, joining some activities such as squid fishing or making fishing net is the best way to support the community’s income. It is for sure to give you such unforgettable memories. Also, you have chance to try dropping the fishing net into the water like local fishermen is considered one of the most highlights of your trip. After a long day with full of activities, what do you want to do in the evening on Halong Bay? If you have no idea, don’t worry about it. BBQ for your dinner on a luxury cruise will be one of the best choices that you hardly have anywhere else. With different various kinds of seafood, it is very promising for travelers to have tasty dinner meal on the Bay. In the romantic light of candles, you and your beloved enjoy a lovely meal, perfect cups of white wine and enjoy the quiet vibe. All of that would be difficult to refuse, wouldn’t they? What is better than doing exercise during your trip to a new land? Opening at 6 am every morning, you can take part in this activity to awake your mind and body after a deep sleep. The location of practicing would be on the desk of cruises where everyone can gather and do exercise together. 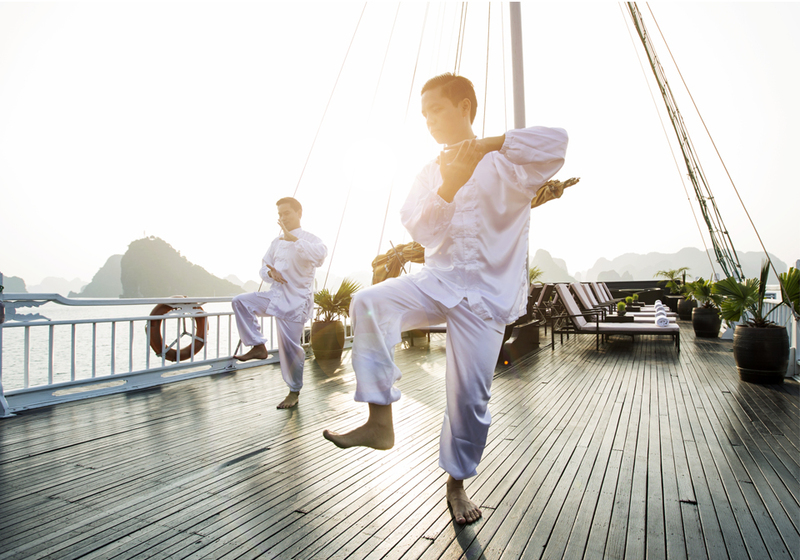 Learning to take a control your mind and taking in the magic of Halong sunrise will be definitely the most valuable thing you have to try. 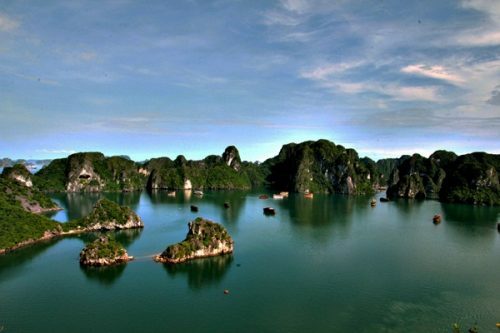 The above are top must-try activities in Halong Bay you cannot miss out during Vietnam Indochina tour. Let’s come and enjoy it on your own.